All our award winning courses can be held at a number of Open Dates throughout the United Kingdom, or in any place and at any time you choose. In-depth and enjoyable, our training covers all subjects with theoretical analyses and hands on practice. With our award-winning training partners, we deliver over 60 different courses from across the safety, compliance and wellbeing sector. Our account managed service will ensure your training and audit requirements are fulfilled. Working with our award-winning training partners, we will work with you to deliver any project on time, nationwide. Using our award-winning training partner’s online platform, we are able to provide quick and efficient account management, allowing smooth management of learners, bookings and certificates. We are proud to work with our award-winning training partner, independantly rated the UK’s No. 1 provider for Health & Safety training by brands including Coca-Cola, Tesco and BT. Collingwood Health has a full range of training courses that come ready made or tailored to your needs. We work with our award-winning training partners to provide the best training in the United Kingdom. We can provide your training at any location in the United Kingdom. Please also see our listings in the accordion menu below this section. The First Aid at Work qualification (FAW) is the highest workplace First Aid qualification you can receive. Its syllabus was initially designed in consultation with the HSE, and today is developed by our award-winning trainer’s own group of lead First Aid trainers. The course has been designed to meet the requirements laid out as part of TQUK Level 3/6 RQF you will receive a TQUK RQF certificate, valid for three years. The course includes scenario training for a several workplace First Aid incidents and provides the learner with the skills they need to manage and take control of a First Aid accident at work. The First Aid at Work Re-qualification course re-validates the First Aid at Work certificate you will already hold for a further three years. This qualification (FAW) is the re-qualification for the First Aid at Work course which is the highest qualification for a workplace First Aider. Its syllabus was initially designed in consultation with the HSE, and today is developed by our award-winning trainer’s own group of lead First Aid trainers. The course has been designed to meet the requirements laid out as part of RQF Level 3 you will receive a TQUK Level 3/6 RQF certificate, valid for three years. The course includes scenario training for a several workplace First Aid incidents and provides the learner the skills they need to manage and take control of a First Aid accident at work. The Emergency First Aid at Work course is a 1 day course that covers many emergencies that may occur in the workplace. The choice between the Emergency First Aid at Work and First Aid at Work course should be done in conjunction with a workplace risk assessment. This would identify any risks such as: Heart Attack, Diabetes, Epilepsy, Asthma etc. These units are covered in the First Aid at Work course and where such conditions exist or are likely to occur a risk assessment may identify the First Aid Work course as most appropriate. The Emergency First Aid at Work course syllabus has been initially designed in consultation with the HSE and takes in the highest industry recommendations such as the British Resuscitation Council. The learner will receive a TQUK Level 3/6 RQF certificate, valid for three years. Training courses are led by a fully certified instructor under MHFA England’s recognised certification programme. The course content has been standardised across England to ensure delivery of the most up to date and focussed training available. The half day course is an introductory four-hour session to raise awareness of mental health. This half day introduction to mental health course will enable the delegate to gain a wider understanding of some issues surrounding mental health, how and why positive and negative mental health affects business and how to work more effectively with people experiencing mental health problems. A 4-hour introductory course designed to increase mental health awareness and give an understanding of how to look after wellbeing and challenge stigma. The session is delivered through a mix of group activities, presentation, and discussion. When you complete your course, you will get a certificate of attendance and an MHFA manual to keep and refer to whenever you need it. Learning takes place through a mix of presentations, group discussions and workshop activities. The delegates are limited to 25 people, so they are kept safe and supported. Training courses are led by a fully certified instructor under MHFA England’s recognised certification programme. The course content has been standardised across England to ensure delivery of the most up to date and focused training available. The one-day mental health awareness and skills course qualifies a delegate as an MHFA Champion. This one-day mental health awareness and skills course qualifies you as an Adult MHFA Champion. As a one-day course, it can be flexible to the working day and is suitable for all but is popular with line managers. MHFA Champions have an understanding of common mental health issues, knowledge, and confidence to advocate for mental health awareness, ability to spot signs of mental ill health and skills to support positive wellbeing. We limit numbers to 16 people per course so that the instructor can keep people safe and supported while they learn. The day includes a mix of presentations, group discussions and workshop activities. You will get an MHFA manual to keep and refer to whenever you need it. When you complete the day, you will get a certificate to say you are an MHFA Champion. Learning takes place through a mix of presentations, group discussions and workshop activities. Delegates are limited to 16 people, so they are kept safe and supported. 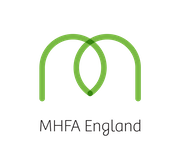 To become a Mental Health First Aider, you must complete a two-day MHFA course. This is our most comprehensive awareness and skills course, which includes a mix of presentations, discussions, and group work activities. Every MHFA course is delivered by a quality assured instructor who has completed our Instructor Training programme accredited by the Royal Society for Public Health. Anyone can attend an MHFA course but an interest in mental health and wellbeing is desirable. When you have completed the course, you will receive a certificate to confirm that you are a trained Mental Health First Aider and a fold-out card summarising the five-step MHFA action plan to carry with you. Learning takes place through a mix of presentations, group discussions and workshop activities. Each session is built around a Mental Health First Aid action plan. Delegates are limited to 16 people so they can be kept safe and supported. This course will enable delegates to increase knowledge about mental health issues so that they can spot signs developing in others and themselves and know what can help some to recover. After attending the course, delegates will be able to spot the early signs of a mental health problem, feel confident helping someone experiencing a mental health problem, provide help on a first aid basis, help towards preventing someone from hurting themselves or others, help towards stopping mental illness symptoms from getting worse, help towards a quicker recovery, guide someone towards the right support, and reduce the stigma of mental health problems. Delegates will explore first aid for common mental health issues and be able to skilfully help someone using a range of exercises in order to increase understanding and aid recovery. Please be advised, not all course offerings are published on the website. Our unique course combines the 1 day Emergency Paediatric First Aid with the 1 day Emergency First Aid at Work courses, providing you with 2 certificates after 1 extended day training. It covers immediate life-threatening situations and managing a emergency regarding babies, infants and children. The presence of an AED alongside the right training can improve the chance of survival in the event of cardiac arrest by as much as 75%. The CPR & AED course provides training on how to perform good CPR and to manage an incident in the event of cardiac arrest. The CPR & AED course also covers the use of AEDs and the differences between some of the AEDs available. If you have an AED on your premises, or if there is a public access AED nearby then our trainer can provide specific training on this device. It should be noted that even if a preference device has been indicated our trainers will still provide information on other devices that the student may encounter outside of your premises. An AED device is designed to be used by any bystander even if they have not had previous training. This training is however proven to increase confidence in using the device and ensure that in the event of an emergency someone is present with the training and confidence to use the device correctly. The 4-hour course is a Level 2/5 award and you will receive a TQUK Level 2/5 RQF Certificate. Understand basic life support requirements. Be able to demonstrate basic life support techniques in line with current national guidelines. Be able to demonstrate post-resuscitation procedures. Other topics may be covered on request such as Anaphylaxis, Seizures and so on. This course meets the GMC, GDC & NMC requirements for BLS training. The qualification you will receive is nationally recognised and valid for 1 year. The course will provide 3hrs of verifiable CPD. Learn how to use an Epipen, Ana Pen and the new JEXT pen. This course will provide you with information on the management of an adult or a child with the potential to suffer a Anaphylactic Reaction. Use of Rectal Diazepam and Buccal Midazolam. Please note that this course is only taught by tutors qualified by The National Society for Epilepsy. This course follows the guidelines issued by the Joint Epilepsy Council for those who care for people with Epilepsy. A certificate valid for one year will be issued at the end of the course. The Evacuation Chair Training Course provides the education necessary to comply with the Equality Act 2010. The Evacuation Chair Training course will give employees the skills required to assist a person who requires an evacuation chair during an evacuation procedure. The course allow employees to have a better understanding of fire regulations affecting mobility-impaired people along with the issues affecting those with mobility impairment. This is a certified course enabling conformation with the Equality Act 2010. We are proud to be partnered with Green Cross Training, who has over 20 years experience in providing innovative training to the UK’s largest brands. All First Aid trainers used by Collingwood Health hold a First Aid at Work Qualification. All our trainers are qualified and hold a recognised teaching / training qualification. And our assessors hold a recognised assessing qualification. Collingwood Health has a stringent quality assurance process documented and in place, designating an individual to take responsibility for quality assurance and including at least annual assessment of the performance of trainers and assessors Our Quality Assurance Officer holds a full First aid at work qualification as well as holding an assessing/verifying qualification. We have a documented course evaluation procedure that is available on request. We take any complaint very seriously and a procedure for dealing with this is in place. Our courses are taught in accordance with current legislation and guidelines supported by a responsible body of medical opinion. All procedures covered on our courses meet current guidelines. Our trainers are updated on a regular basis if any changes are made. Our course content will adequately meet the needs of your workplace, as indicated by your training needs assessment if one was requested. We will work with you, as required, to ensure that the training we provide meets all your identified needs. The syllabus includes all the required topics set by governing bodies. Our certificates meet all legislated requirements. The certificate may also list the learning outcomes of the syllabus on which candidates have been assessed. To ease the strain when selecting a training provider, we are able to offer various qualifications. All certificates will, at minimum, meet the requirements of governing legislative bodies. Please contact us to find out about the specific training you are interested in!